architect&coffee: Better than a design contract. The project is to interior design her hotel resort. :) I was the designer before when I was still her employee and it landed on my hands again. Haha! I am still happy that I will be able to finish my unfinished designs. Hehe! I was actually moved by the time we met again and felt forgiveness for her. Yes, there are stories that I should be keeping to myself but maybe its time to move forward. Holding grudges won't make me succeed in life. Big or small, just forgive. Its part of life they say. I am still grateful for all the recognition she had given to me. I owe her bigtime. And I think it was God's will to resign in her company so I could start my own. At the end of the day, it was still her who helped me out to start a company, by resigning in hers before and now as a client of my own. Hihi! 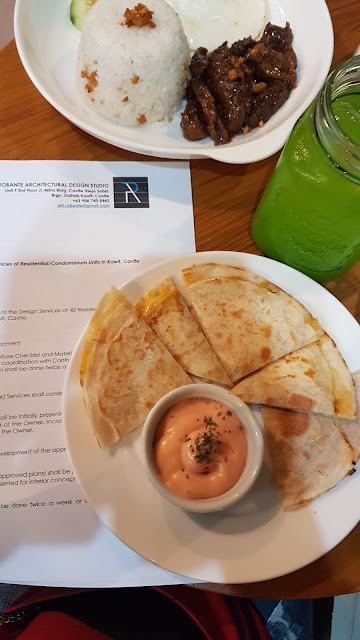 Cheesy quesadillas over my signed design contract hihi! 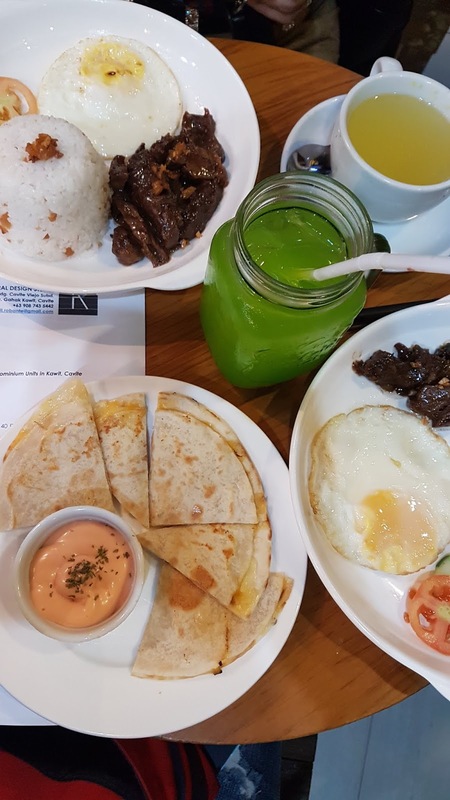 Yeah, contract is important but food first. Haha! I only order cheesy quesadillas but my former boss ordered me tapsilog. Haha!